Don't know why people like the Legend of the East outfit, I think it's hideous. Seeing what it looks like has me not bother to rush any of the remaining challenges and exotics I have to do. Currently at 96% and I'm fine with it. I agree, it looks......clownish. After the patch crafted trapper saddles are extremely useful. They give massive boni to stamina and health, also to speed and acceleration. I also believe they changed the timing when pressing x while riding, making it to easier to match the horses rhythm and use less stamina that way. "I feel like I'm flying!!!" "Work it, ya damn nag!!!" So is it ever explicitly said who all took part in the Blackwater heist? We know for sure that Dutch, Micah, John, Sean, Mac, Davey and Javier took part but who else? For awhile I thought that Jenny had, but after reading that she was wounded during the escape from Blackwater I'm not so sure. She might have just been injured when the gang regrouped and tried to flee, as opposed to taking part in the robbery and getting hurt while trying to get away from the ferry. Is there any further info that clears that up? I think Bill also has a line (which I'll be spoiler marking below) that implies he was there. During "Banking, The Old American Art," you can hear him shouting "This is worse than Blackwater!" as the gang is attacked by the Pinkertons. This made me think he took part as well, though he could have just been going by what he heard as opposed to what he witnessed. 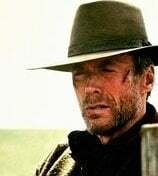 I was at the Rhodes Saloon last night and a girl approached offering service and by accident I refused, does anyone know what happens when I accept? I did not pay close attention to the options that appeared in the corner of the screen. Every time a prostitute has approached me I get "Decline" and "reject." "Reject" is antagonistic. Yeah hats off to you for spoiling and not putting the spoiler tags on before it was too late. At least you could've said this in another thread where spoilers are allowed...? I think this is a glitch, it makes no sense to have 2 options with the same outcome. I think it does, one is honorable, the other isn't. if the option to visit prostitutes is not in the game, and lets face it we would know by now if there was any hint this feature was in the game, then all you could do is decline the offer anyway, but the honor system is still at play. "No thank you, my dear." "I don't want any crotch rot right now!" One is honorable the other isn't. I would hate that and it would ruin the ending imo. Unless they include an alternate ending. Some of the stuff people are saying about the wanted system is just plain incorrect. I antagonized some dude in front of Sheriff Malloy until he started shooting at me, the sheriff, although a bit confused for a moment, shot the man who was shooting at me. That was most likely intentional on their part. Same. It's identical, probably a reference to that moment. It was how he was taught to open barn doors as a kid. Open them as if you're about to get shot. Well. I never use the stairs in the Valentine Hotel for going downstairs after sleeping in the room. I always break the Windows on the second floor with my gun and go out from there. Yep. I'm a pretty impatient dude. The voice acting is sublime, but Dutch's in particular is something else. What a character! 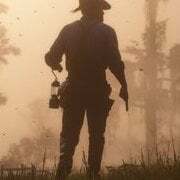 My favorite scene of him is when confronted Cornwall at Annesburg. 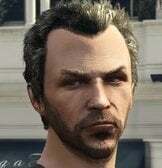 Agent 14 (GTAO) and the trapper(s) are voiced by the same guy, right? This is more of a reaction to RDR2 support. No, "Mallory P." an xbox power reset will not fix the SPECIFIC ISSUE I have with a SPECIFIC game save. Seriously? That's the best you can do? Q: "Hey, I've got an animal pelt glitched on to the back of my horse(s) and stays with my saddle, even though it's no longer in my inventory. How can I get it off? Or can you remove it? Something?" A: "Yes, we understand you are having a problem with a pelt stuck on your horse. Try an xbox reset, to fix that." LOL, so they effectively want to break your PS4 ... must have something to do with their partnership with Sony I reckon? R* technical support seems mostly outsourced, which is why it's mostly useless IMO. If I did that, which I never would, and f*cked up my savegame or anything..I would fukn snap. You do you know that the majority of "Technical Support" is outsourced to people that just have a book of scripted answers and scenarios. Definitely so, I thought other games had superior gameplay, but for the story and VA, it was straight Rockstar.